Have you always wanted to be part of a company that’s not only selling products to consumers, but is actually making their lives infinitely better? Fortunately, with today’s technology and access to crowdfunding platforms, you can be part of companies you believe in as angel investors. Decades ago, angel investing was only available to the wealthiest 3% of the US population. We are excited to share that our company, Mighty Well, is live at Republic.co where our friends, family, and angel investors can invest and be part of the company. In order to invest, you need to be 18 years old, have Republic account, and have a credit or debit card. In our campaign, you can invest for as low as $25. When you invest, you will get the chance to earn a return. 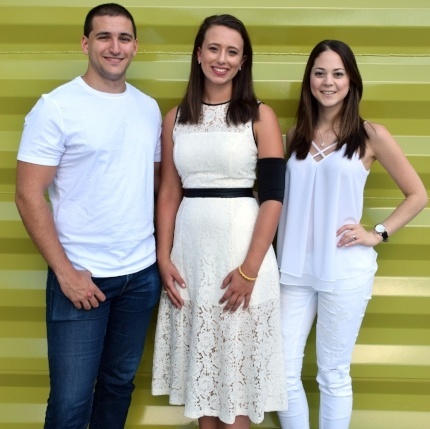 Mighty Well’s co-founder, Emily Levy, was diagnosed with chronic Lyme disease when she was a sophomore year at Babson College. When she had her first PICC (Peripherally Inserted Central Catheter) line put in for treatment, her doctor advised to wear a cutoff sock to protect her arm. As a young and fashionable student, putting a sock on her arm was inconceivable! That’s when she turned her illness into an opportunity. She created an alternative (and a more fashionable) solution, which led to Mighty Well’s first product: PICCPerfect PICC Line Protector. Since Mighty Well was founded, its revenue has grown 20% month-over-month on average. 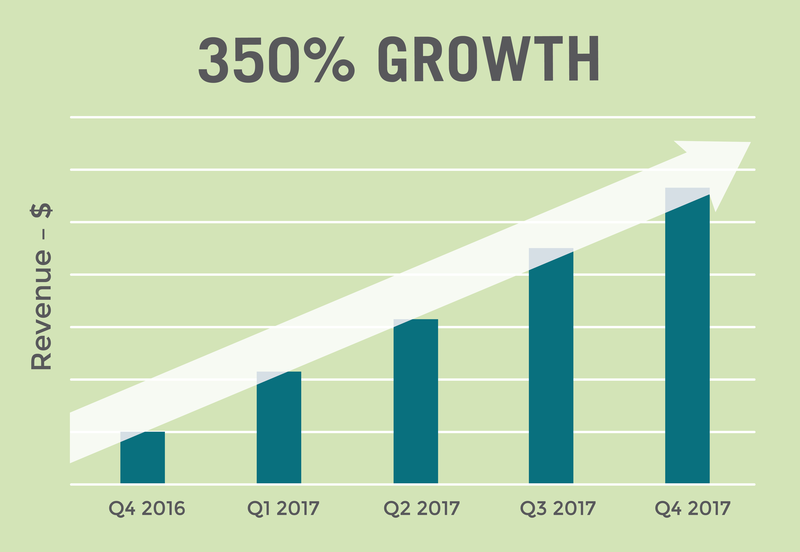 In the first and third quarter of 2017, the revenue growth jumped to 250%. This December, Mighty Well is set to launch a new product: Mighty Wrap. 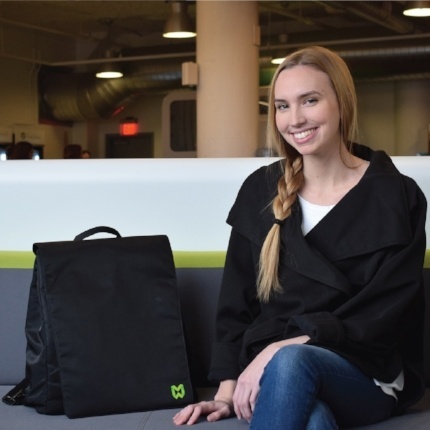 The Mighty Wrap is a fashionable jacket that also serves as a way to conceal and access medical supplies and devices. The Mighty Med Organizer, Mighty Pack, and Mighty Everyday Tank for Women and Tee for Men are currently in production to be released in 2018. 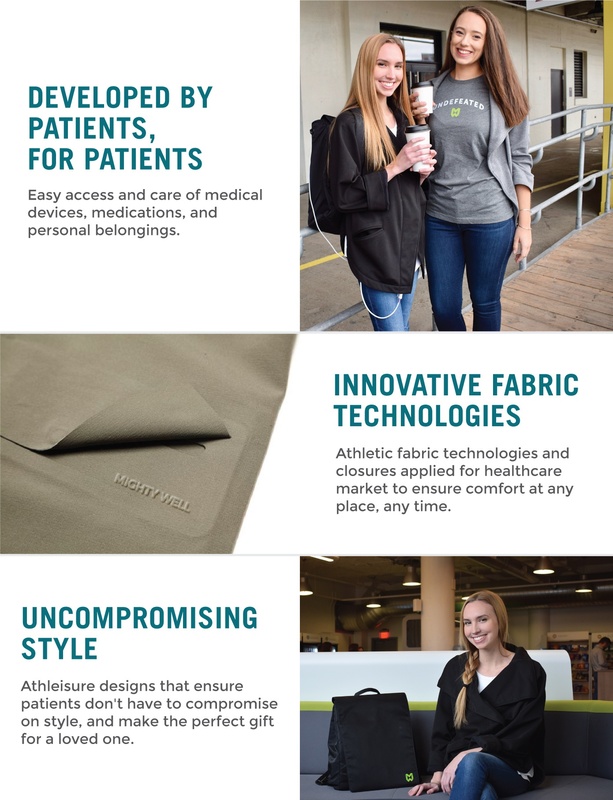 All of these products are designed to serve patients through functional and stylish products that enable patients to maintain their dignity and style throughout their treatment/illness. Besides building a profitable company, Mighty Well’s goal is to build a community of “Friends in the Fight,” a group of people who are suffering from illnesses or people who have friends or family members that are undergoing treatments. The community’s goal is to provide support and resources to make the experience more positive both for the patient and their loved ones. More importantly, when you become an investor, you will get exclusive updates from the team regarding how the company is doing. If you have an entrepreneurial spirit like our co-founders, it is a great way to get engaged in the business world. Investing in Mighty Well on Republic.co is as easy as shopping on Amazon. First, you need to create an investor profile. You can use your Facebook profile or email to create one. Once you have an account, you’ll be able to choose among the different amounts: $25, $100, $500, $1000, $10,000, and $25,000. Each corresponding amount has a set of extra perks besides getting a security stock of the company. For example, choosing $25 will get you a “thank you” shout out on the Mighty Well website. You can pay using a credit card or debit card. Mighty Well is raising a minimum of $25,000 by Feb. 14, 2018. While the minimum goal has been reached in less than 24 hours after the campaign went live, you still have 65 days to invest and help raise more money. The investment will go to expanding Mighty Well’s product line and marketing the products. You can learn more about how to become an investor on Republic here. 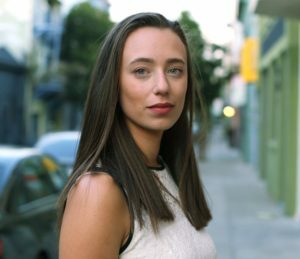 Mighty Well is also featured in the new Shark Tank style show, Meet the Drapers. It is dubbed as the “kindler and gentler version of Shark Tank.” Plus, through the help of Republic, viewers can also invest in the three startups that are featured in each episode. 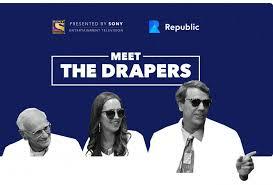 The first episode aired on November 19 via Sony Entertainment TV. In the event that investing is not an option for you right now, you can still be part of the Friends in the Fight. Join Emily and the Mighty Well team in a private Facebook Group to help support patients and family members with encouraging words.